Rogue Rat play high octane, pedal to the metal rock n roll from Madison, WI. 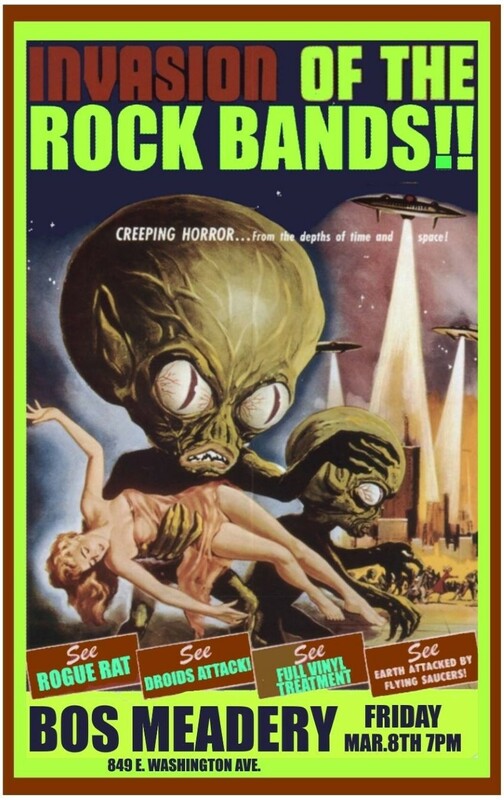 Blasting through Earth’s atmosphere with a sonic boom from beyond, Droids Attack have come to lay waste to conventional rock & metal soundscapes. Brandishing an unstoppable arsenal of otherworldly riffage, their time bending grooves lay a visceral, unrelenting attack intent on vaporizing audiences with guitar driven thunder hooks. Phasers set to “murder your faces.” They watch your ashes burn.